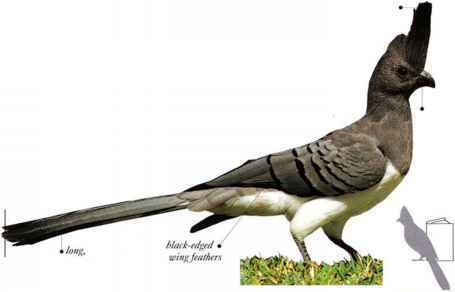 Soberly colored in gray, black, and white, with an upright crest, this is a turaco of dry, open scrub and woodland. 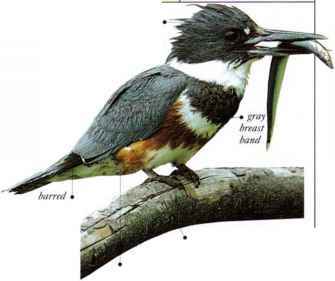 Here it tends to perch conspicuously on high branches and is seen in nocks that cross open spaces one after another in napping night. Flying birds reveal prominent white bars on the wings and tail. As each lands, it raises its long tail and tall crest. The name derives from the nasal, complaining "go-waycerr" call, although a loud, barking note is also uttered. Single birds, pairs, or small parties forage among trees and bushes for fruit, (lowers, and green pods of seeds. • NliST An untidy, shallow nest made of twigs, usually in a dense thorn tree. • DISTRIBUTION E. Africa, from Ethiopia as far south as Tanzania.